Mark Zuckerberg’s Visit. Between Lagos and Abuja. To preempt the 30th call and 100th message. Yes, I saw Zuckerberg. In Aso Villa, Abuja. No opportunities to picture. No space for conversations. The good thing about Aso Rock especially when a bigger man is around is, it becomes neutral ground. Men whose subordinates you’d happily wait hours to see become your equals. After a while though, my guy signalled to me and we left the rowdiness. Zuckerberg looked REALLY uncomfortable in the setting of politicians and was overheard saying “can we leave now? “. Contrast that with the Lagos crowd where “small boys and girls” had great access and respect interacting with him. He felt quite comfortable with fellow comrades. He clearly prioritizes the startup crowd. Which is good. Very good. Watching politicians and “big” people scramble to associate with a 32 year old boy they would not have allowed to blossom here in Nigeria filled me with shame and joy at the same time. Then I realised that these people still do not get it. The young man they adore had subtly given a nod to where he knows the future lies. Iyin told them to their faces but they still cannot get it. A retired bank CEO would still be struggling to be the next Zuckerberg . Anyway, this long note is to explain to my many friends who somehow are sad they did not see me with Zuckerberg. Though I don’t get it, I really tried to get a selfie for y’all but it was just too rowdy. No be because person wan chop meat e go begin dey call cow broda. Finally, tech is where the new power is if it was not clear before, it is now and I’ll keep trying to do my bit to ensure we get it. I have to give a nod to Bosun, Femi and team who have built Cc Hub, which I believe singular most important factor that crystallized our techosystem. PS: We will still address what we REALLY think of Mark’s visit to Nigeria.. sorry Sub saharan Africa, let us first milk and savor the benefits. There is a time and place for everything. besides, I am a criticism break. These days, If one writes, they’ll say this trouble maker don start again. 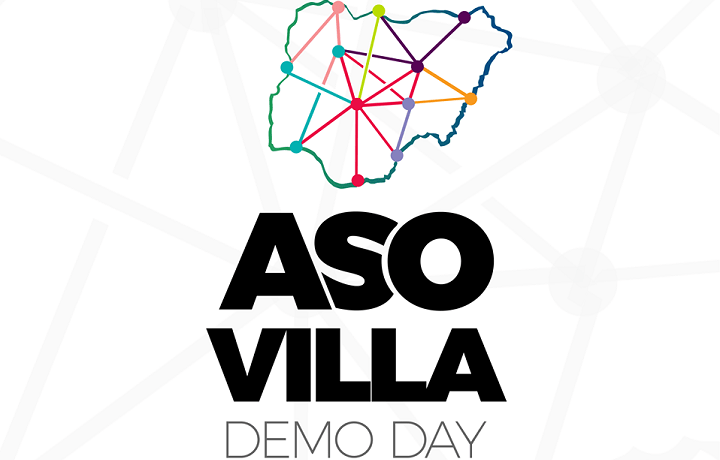 So I kept quiet on Aso Villa Demo Day (a day to showcase to the President the best of Nigerian technology). To the best of my knowledge, non comrades of our techosystem (I know, sounds so entitled and arrogant) have the mandate to decide our representatives. How we are viewed by the highest level of government depends on them. They are our representatives to the President. So looking through the list, I could see less than a handful of startups like GRIT Systems and RedBank folks tackling huge and important problems. I could also see a number of “normal startups” e.g a different permutation of ecommerce startups you’d find in Lagos. Looking further however, I see stuff like Egusi Soupe. And many other ”ideas” most likely thought off the cuff. I doubt much more than the pitching time was allotted to these ideas. Their only entries in Google search is from the press releases sent to various media outlets. So how have these representatives of Nigeria’s Tech possibilities been chosen? And by who? And with what criteria? I would think if we’re pitching tech to the highest level of the country, we should be going for greatest impact. We should play our very best cards. Which I’d interpret as startups with the most feasible chance of directly impacting a minimum of 1 million people or creating/saving a minimum of a billion dollars. A second thing I’d champion if we in the techosystem had this opportunity would be to go out and recruit beyond the people that applied. For instance, I should expect a Tryctor, WeCyclers, something on the future of education, financial Inclusion etc to be among this list. Finally, I would there should be a clear and realizable outcome from this rare August (september?) meeting with the President. Every startup should have their one ask which we would expect the President to mandate/champion instantly. This should instantly eliminate every “idea only” entries which belong to hackathons and business plan competitions. I’ll conclude by referencing a favorite admonition of my man Bubu. “You Nigerian Technology Press should do more investigative journalism. Ask questions. Prod around. Basically, do your jobs. You’re the fourth estate”. PS: I don’t intend to be harsh or overtly critical which is why I have my recommendations within the post. Hard questions must always be raised especially when it comes to government. No vex. It is a massive story that would be carried around the world because, aside from the fact that it is Zuckerberg, it is the very first investment of the Chan-Zuckerberg Initiative $40 billion behemoth. It would have been all good, however the narrative of Andela especially with regard to Nigeria’s role seemed one kain. Besides the fact that in many publications, there was (prior to my twitter rants) NO mention of the critical role the Nigerian co–founder (Iyinoluwa) played, in birthing Andela. Lagos, where Andela was founded was reduced to one of two African campuses of a New York startup. Thursday, the Chan Zuckerberg Initiative LLC plans to announce an investment in Andela Inc., a New York-based startup that trains software developers in Lagos, Nigeria and Nairobi, Kenya. My issue isn’t with the elevation of New York’s role in creating Andela it has to do with the diminishing of Lagos, Nigeria. What is not known is that Andela was launched via a blogpost in 2014 as a Fora (Iyin’s previous startup co–founded with his schoolmate mate Ian) pivot. The idea was arguably seeded on TechCabal some days earlier (see comment section) when Iyinoluwa (aka E) grandiosely declared a world class developer could be trained in months. Fora had been having challenges getting off the ground as an accredited long distance institution targeting Africans. With the encouragement and support of his American friend Jeremy and his first (Fora) backer South African Pule, decided to pivot to a business model. To prove there was demand, E put out that post without anything on ground. The blog post was the MVP, Fora’s CTO and now Andela’s Director of Training, Nadayar executed on training. Once demand was proven on the supply side of the business (trainable developers), it was time to form Andela as a new entity. Andela was made possible because of the Voltron formed BETWEEN Nigeria and USA. Founded in Nigeria, financed in New York. A great combination. Andela launched on 1 September 2014, with six students selected from a developer boot camp, in the office building it currently occupies on Herbert Macaulay Road not far from the famed Co-Creation Hub, an incubator at the centre of Nigeria’s tech revolution. It is hard being Nigerian especially when it concerns the internet. We are pattern matched in a disrespectful way almost all the time and there is a lot of tangible cost to Nigerian Internet Entrepreneurs. So success stories MATTER SO MUCH when we are trying to change the narrative. What is the best way to prove to an investor that you can start a multi-million startup from Nigeria? Show the investor a multi-million dollar startup that was started from Nigeria. How can you easily convince a Nigerian that with the right partnerships, they can co found a multi million dollar startup from Nigeria? Show them a Nigerian that has done so. How can you tell a 23 year old he is not too young to be ambitious? Show him a 23 year old that launched a startup with a blog post. Can an African Angel investor discover the next Andela? Yup! Cos Pule did! In the Forbes article, the picture used positions the familiar benevolent white folks with the grateful African recipient of a good gesture. Or in other cases the students that are being trained. It should have been the right time to include the picture of the NIGERIAN co-founder E, who helped make this happen. They say a picture says a thousand words. That picture would inspire millions the world over by SHOWING not telling, we can do it right here from Nigeria. Andela is filling an extremely important piece of the African techosystem – building the talent of tomorrow so I wish them nothing but exponential success. But as they go on to do greater things, they should not forget where they came from. PS: It is important to clarify that in no way am I suggesting that there is sinister plot to wipe away the Nigerian roots of Andela. I believe historical oversights happen without realising the importance of some of its aspects. Thanks Banke and Sam for your feedback for this post!